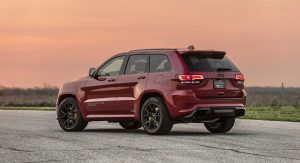 The Jeep Grand Cherokee Trackhawk is the definition of a high-performance SUV. 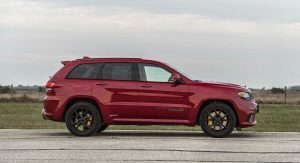 The Jeep’s so fast that it makes other performance-oriented machines look slow. 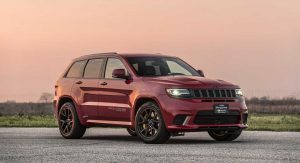 As usual, Hennessey Performance isn’t content with the SUV’s output and is now offering a new performance package for any owners that want some extra oomph. 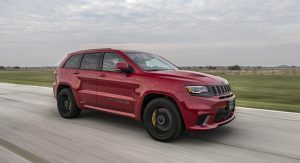 We all know the specs behind the Trackhawk by now – the SUV has the fabled 6.2-liter supercharged Hellcat V8 engine that produces 707 horsepower and 645 pound-feet of torque. That, one would assume, should be more than enough for owners. But Hennessey’s HPE850 Upgrade, as its name implies adds an additional 145 hp to the machine. If you’re doing the math, you’ll see that the numbers don’t add up. But that’s because Hennessey claims the upgrade brings total output to 852 hp and 845 lb-ft of torque. 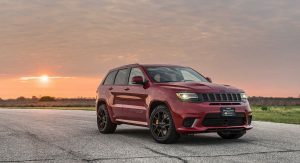 To get that kind of power from the V8 engine, the tuning company upgraded the SUV’s software, attached a high-flow air induction system, and increased boost to 14 psi via a lower pulley upgrade. Other than that, it looks they didn’t touch much else. 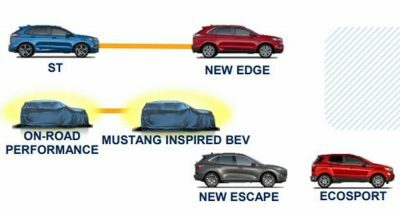 Hennessey, as usual, has put out a dyno run of the SUV to back up its claims. 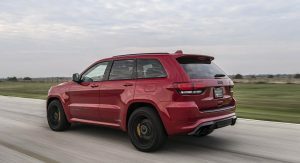 Interestingly, the tuning company decided to test the Jeep in its rear-wheel-drive setting. We’re not sure if doing the run with all-wheel drive enabled would’ve resulted in different numbers, but we have seen a difference before. 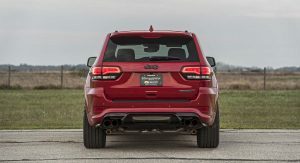 On the dyno, the herculean SUV put down 722 hp and 655 lb-ft of torque to the wheels. 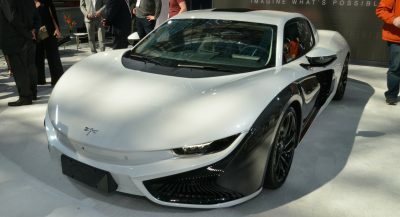 The tuner factors in a drivetrain loss of roughly 20 percent, which comes out to a total of 866 hp and 786 lb-ft of torque at the crank. If you go off of the dyno’s figures that’s an increase of 159 hp and 140 lb-ft of torque over a stock example. 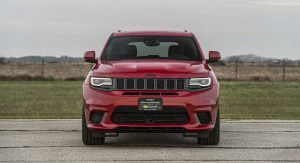 Those are some impressive numbers, but we’re sure Hennessey will be back in the near future with an HPE1000 Upgrade for the Trackhawk. Until then, enjoy the video of the HPE850 flexing its muscles below. 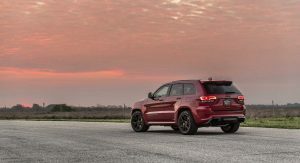 If this is all it seems to be… why wouldn’t Jeep have made the same changes? 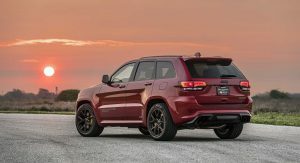 [A question I always ask re: these kinds of upgrades] Does it get horrible fuel economy? 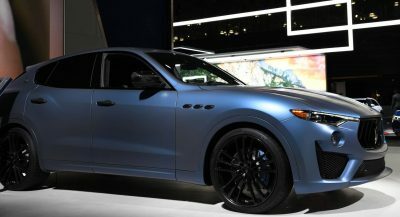 Would it not pass pollution tests? It is too much power for the transmission, etc.? 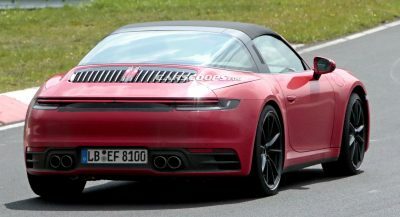 Like you stated before, there is a reason why manufacturer didn’t churn out numbers like tuners did, they factored reliability, warranties, daily usability, emissions and other. Which leads me to the next question…. 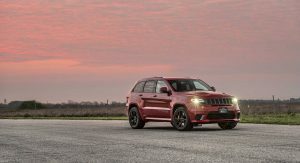 ARE Hennessey vehicles reliable? I’d like to see a list some day of the ‘down side’! Why don’t you go to internet forums, there are a lot of people that hate Hennessey, for various reasons and you can’t judge it for himself. Hennessey doing at it best, assemble some kit from off the shelf parts. Let me guess…with a supercharger? What now? He didn’t put on a bigger supercharger?? Hell will surely freeze over. Next PostNext Would You Spend $125,000 On A 2018 Range Rover LWB?